Inside: Discover the truth about how to get kids to eat more veggies. This include four ways you can squeeze in vegetables for kids. I peel the bag of carrots and carefully chop off any imperfections. Then, I toss them into the steamer and get to work on the potatoes. They are steaming hot from coming out of the water, so I gingerly set them in a bowl and mash them with a garlic, butter and cream mixture. Finally, I am ready to make the gravy from the beef broth that the roast has been simmering in all day. Once I have everything ready for dinner, I call to my kids and husband to come eat. My kids take one poke at their food and the complaints begin. 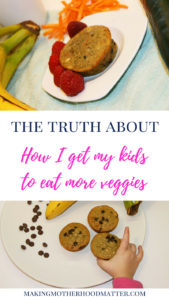 For months, I wanted to pull my hair out trying to get my kids to eat their vegetables, finally I found a great way to get my family to eat more veggies. 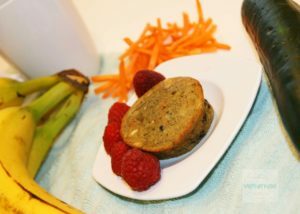 So, my biggest secret to getting my kids to eat more veggies is including veggie-rich foods like Garden Lites muffins, which have vegetables as the first ingredient. By camouflaging the vegetables for kids, they don’t even know they are eating them, so mine won’t protest the food. Not to mention, the muffins are super tasty. 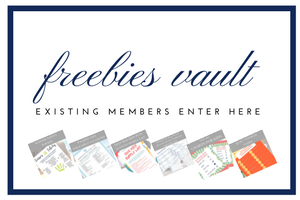 I have found that if I can involve my children in the process of selecting the foods they are going to eat, then I have a greater success in getting them to eat it. For example, I might say “Would you like chocolate, blueberry oat, or banana chocolate chip muffins today?” Kids love to feel like they are in control of their lives. Traditionally, I incorporate veggies into almost every dinner meal, and most lunches, however, I have not always been great about including veggies into our breakfast meals. By adding veggies to every meal, our family can enjoy them without being overwhelmed. Below is a video where I share a super healthy breakfast (fruit, veggies, and protein included) that I can make for anyone in the family, in under 60 seconds. I have learned through trial and error that serving a variety of vegetables for kids is the most successful way to get them to eat more. I like not only serve a variety of vegetables, but also prepare them different ways to encourage my kids to be good eaters. 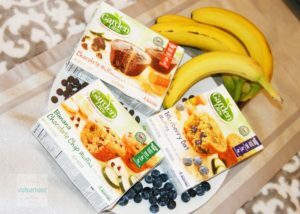 It’s no secret that I am a huge fan of Garden Lites since they are the perfect veggie-rich food that can be eaten on the go or at home. 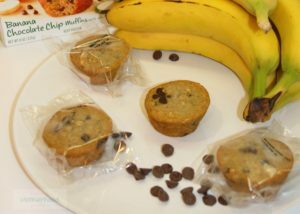 I also love a good deal, so the fact that these delicious muffins are $1 off is a great excuse to stock up on our new favorite snack, get your $1 off coupon here. It’s so simple to include these veggie-rich snacks into even the busiest lifestyle. 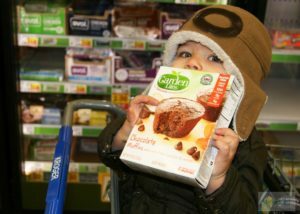 We found ours at Kroger, but these yummy muffins are also available at Publix, Stop & Shop, Giant, Shop-Rite, HEB, and Costco. P.S. 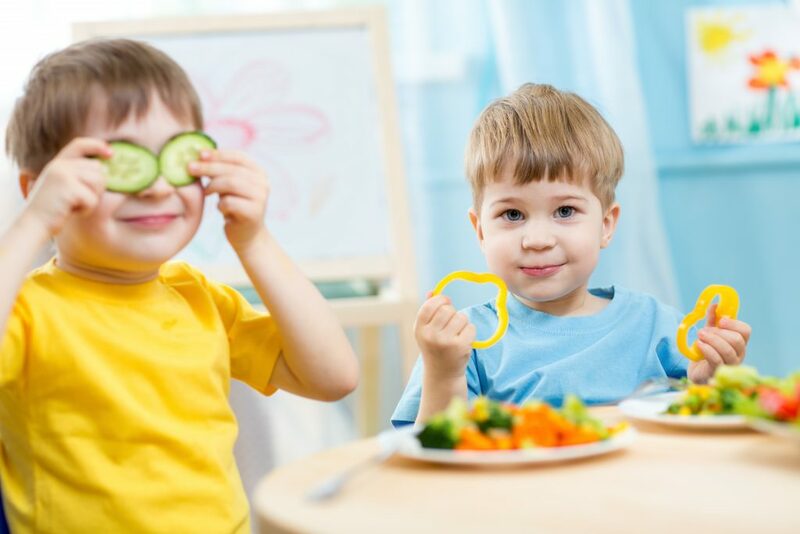 If you liked this piece, you may also enjoy 10 Ways to Teach Your Toddler Healthy Eating Habits. Sometimes, we get so frustrated with our children, that we often force feed them. This is really not a very positive way to teach them to enjoy the food. Realize that eating is an enjoyable task. Let them not eat what you have made one day. Try it again after a couple of days, perhaps in a different format, and they may enjoy eating it.